This study comparatively examines the relative effectiveness and frequency of use of modern and conventional training methods, as much rhetoric has surrounded the use of techniques like distance learning and computer-based training methods. The responses from 200 employees suggest that no significant difference exists with respect to frequency of use, but a significant difference exists in terms of effectiveness. The result shows that on-the-job training (OJT) methods are widely used and are perceived as the most effective method, whereas distance learning is not widely used because it is perceived as less effective. This study also reveals that a significant difference exists between modern training methods and conventional training methods in terms of attaining training objectives. OJT is given the highest rating for attaining training objectives. A nation’s competitiveness depends, to a great extent, on the quality of its human resources. The productivity of its workforce, the ability to learn, relearn, acquire new skills and competencies and the commitment to excellence will inevitably enhance national competitiveness. Thus, Malaysia continues to focus on improving its workforce through constant training and lifelong learning to stay competitive. Investment in corporate training in Malaysia, which aims to build a world class workforce, has been given greater emphasis in the Ninth Malaysia Plan (2006-2010). The government has allocated RM 4792.6 million (Ninth Malaysian Plan 2006-2010) for corporate training, and this includes industrial, commercial and management trainings, hence increasing the supply of educated and skilled human resource to support the expansion of education and training institutions. The emphasis given by the government on corporate training is obvious due to its effect, direct or indirect on both employee motivation and organizational commitment (Meyer & Allen, 1991). Some organizations, planning for the long-term, invest in the development of new skills for their employees, so as to enable them to handle issues not currently present, but likely to come up in the future. Hence, the purpose of this study is to close the gap of employee’s perceived effectiveness with respect to training methods used in the relevant literature, shedding more light into the relationship of perceived training effectiveness with regards to training methods. This study replicates the study by Sadler-Smith et al. (2000), also intends to explore the perceptions of management level employees to some of the ‘modern’ training methods and other more ‘traditional’ approaches employed in management training; as there is a gap between the rhetoric surrounding the supposed value of these methods, and the reality in terms of outcomes. Learning and Development professionals have been faced with a number of challenges regarding the training and development of staff namely, increased numbers of employees to train; increased complexity in the type of work employees are required to perform (and the tools used at work); pressure on employees to learn and demonstrate new competencies faster and at a higher level; rapid changes in the business environment and limited funding to achieve all of the above. Many organizations have turned to modern methods of delivery which do not rely on conventional face-to-face contact between trainer and trainee. 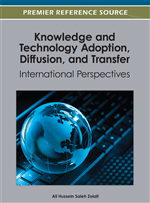 Companies are exploring the use of “e-Learning” courses, such as web-based, intranet-based, and CD-based training delivery systems to cut expenses and reduce their reliance on travel (Juptner, 2001). Today the level of development of computer-based training materials has risen dramatically as a consequence of the new and exciting opportunities provided by the World Wide Web (www). New training delivery methods continue to expand because of the growth of the computing technology, increased information technology competencies, and reduced barriers to accessing and using the Internet. Effective strategies for technology-based training and instruction should focus on building virtual learning communities, making the technologies used to mediate communication as seamless and transparent as possible in order to efficiently and effectively reach as many learners as possible. Today, the application of technology in both its “hard” (for example through computing technology) and “soft” (for example through instructional design) forms has enhanced the range of training methods available to practitioners. Many organizations have turned to modern methods of delivery. However, much rhetoric has surrounded the use of techniques such as distance learning and computer-based methods. Consequently, the purpose of this study is to explore the perceptions of employees to these “modern” training methods as compared to other more “conventional” training methods.